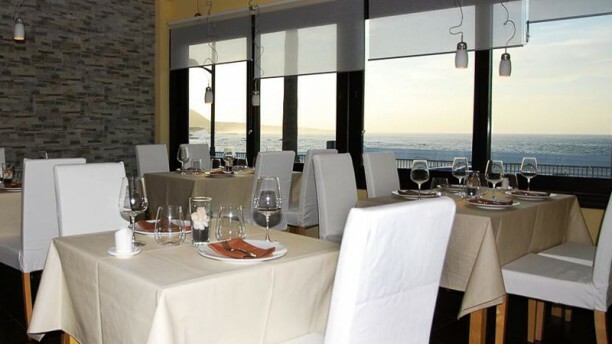 Con una privilegiada ubicación, gracias a sus vistas espectaculares del mar de Tenerife, encontramos el restaurante Ardeola, un exquisito lugar de ambiente moderno y cómodo donde podemos relajarnos para disfrutar de una excelente comida. Su propuesta culinaria nos presenta una excelente muestra de la comida mediterránea, sus especialidades son los arroces y entre sus platos destacan la paella de pescado y mariscos o el solomillo de cerdo. Este local es perfecto para diversas ocasiones, bien sea una cena romántica, o reuniones de grupo o empresa, además disponen de una amplia bodega de vinos con la que pueden acompañar su comida. Based on the good feedback on TripAdvisor we selected this restaurant. Our rabbit was cold and there were no bolet in the rice. When we told the waiter they reheated our dish in the microwave. No apology was made. Not by the waiter not even by the cook. Magnífico arroz cremoso con bogavante. Gran carta de vinos. This was a really authentic Canarian experience — we are staying in a very comfortable hotel, but we wouldn’t have missed our meal this evening . The value for money was fantastic - a delicious and unusual,tasting menu with matching wines for a ridiculously cheap price. Would highly recommend it. Wonderful restaurant. We had the salads & desserts(chocolate & passion fruit)and each dish was a delight. Excellent value, definitely not overpriced. Will definitely be going again. Nice restaurant with good food. We enjoyed it very much! One of the classiest places to eat in Garachico- a cut above the normal Tenerife cuisine. There isn't an extensive menu but what it does, it does v well. Including a modern twist on Tenerife classics such as "Ropa vieja " - served in a sundae glass! Tasty, inventive and good flavours plus light airy restaurant with good service. Loved it! We had some great food in Garachico but this was the best. Simple, tasty and elegant. We had the tasting menu and each was surprising with presentation and deliciousness. We were never rushed, but the staff noted when we were through with one course so as to clean away the plates and cutlery from the last, bring fresh service and follow immediately with the next course. The food was inventive, traditional Canarian with a modern twist and prepared expertly. We will eat there again. Well organised by a very efficient young lady think her name was Adanta she was quick to spot everything and made sure everything ran well. Had the lobster and shellfish paella was good. The food was better five years ago. Visited this restaurant before always enjoyed disappointed on this occasion. Not up to standard of previous visits, shame. Try the several excellent gin and different tonics...served professionaly and with knowledge. Rare on Tenerife. Nice fresh tastefull fish dishes...For very acceptable prices.